Everything Is Possible co-founder, Clair Brown is at the Ri-Scosse 2014 seminar in Italy, this Friday 13th and Saturday 14th June. 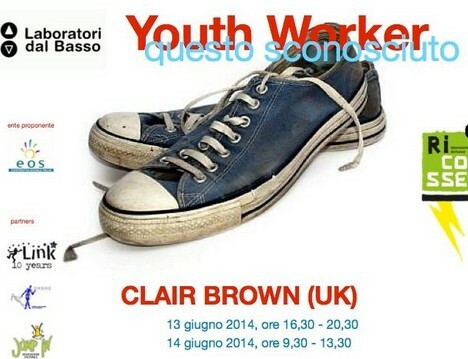 During 2 days she will speak about youth work and share the experience of Everything Is Possible. Click here to watch the live.